NRL clubs are frantically manipulating and manoeuvring their salary caps in a bid to land some of the biggest stars in rugby league. Around $35 million worth of football talent will come off contract after the 2020 season but clubs are already preparing for million-dollar raids. No official contract offers can be tabled until November 1 this year but clubs are privately working the phones and doing their sums. "All 16 clubs are talking to players and their agents about 2020 season - today. Absolutely, 100 per cent, that's the way it is," said Bulldogs chief executive Andrew Hill, whose captain Josh Jackson is part of the bumper free agency crop. The Daily Telegraph can reveal a list of players coming onto the open market at the end of next season, which includes Latrell Mitchell, Tom and Jake Trbojevic, Jack de Belin, Tyson Frizell, Brodie Croft, Matt Lodge, Josh Jackson, Alex Johnston, Marty Taupau, Jesse Bromwich, Jordan McLean, James Maloney, Jack Wighton and Cody Walker. The Trbojevic brothers will both be off contract in 2020. AAP Image/Julian Andrews. Clubs are acutely aware they must start sorting their salary cap finances now to be ready for the expected November 1 transfer onslaught. Penrith, though, have a retention committee which meets monthly to discuss the salary cap three years in advance. With 2019 already settled, the Panthers are diligently monitoring their cap through until the end 2022. "You've got to be looking three years ahead," Panthers Group CEO Brian Fletcher said. After last year's grand final victory, Sydney Roosters coach Trent Robinson told reporters several weeks after last year's grand final that his next job wasn't preparing for 2019, but looking at his 2020 roster. "Recruitment, retention and working on your roster seems to happen earlier and earlier every year," Canberra CEO Don Furner said. Hill added: "Recruitment has always been 12 months ahead. More so now than perhaps ever before in the game, because if you get it right, it is a fantastic opportunity to give yourself 12 months to build around the right recruitment." 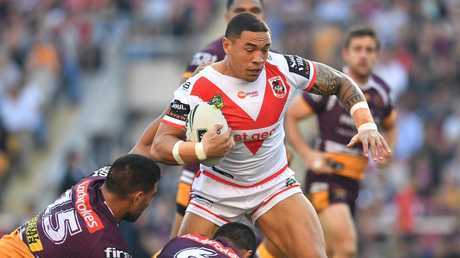 Clubs will be queuing up for Frizell. AAP Image/Darren England. The Trbojevic brothers will attract extreme interest. As a package, they would be worth around $2 million a season and potentially form the backbone of any line-up. A number of clubs - including Parramatta - have Tom and Jake at the top of their recruitment list. 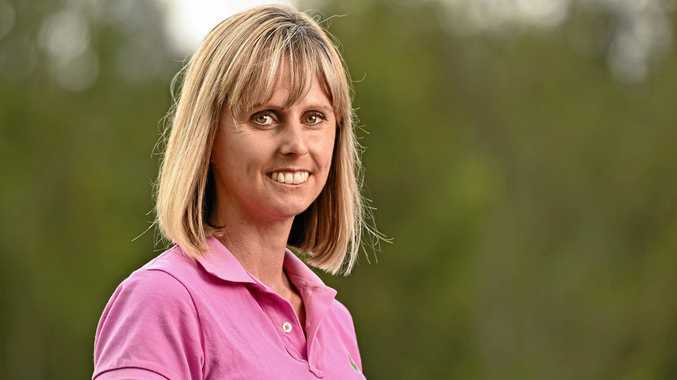 Although rivals concede it may prove difficult to pry the Trbojevics away from the northern beaches. "They are what I call Manly DNA - they walk and talk every part of the Manly DNA," Manly chief executive Lyall Gorman said. "It is harder in professional sport these days as you know, but we would hope they become one-club players. "That would be the perfect world, certainly from our club's perspective. We won't be waiting until the first of November to engage in people like Tom and Jake, that's for sure. Chambers is still one of the best centres in the league. AAP Image/Hamish Blair. "We want to create that high-performance environment where players love to be. That's a really important part of a retention strategy. We want to create an environment where they feel valued, feel they are growing developing and are an integral part of our future. "Our club is very focused on ensuring their long-term future is well and truly on the northern beaches." Roosters centre Mitchell will also draw plenty of attention from rival clubs. Roosters officials will be loathe to see the 21-year-old leave, after the New Zealand Warriors poached Roger Tuivasa-Sheck three years ago. Over the past 12 months, Mitchell has developed into arguably the finest and most powerful centre in rugby league. The Roosters will also have to fight to retain Friend, Waerea-Hargreaves and Taukeiaho. 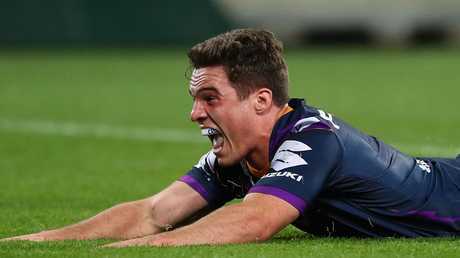 Melbourne's Croft - quickly establishing himself as a class halfback under coach Crag Bellamy - is expected to be in high demand, and has already been speculated as a potential replacement for Cooper Cronk at the Roosters. Will there be big demand for Croft? Photo by Kelly Defina/Getty Images. Brisbane's bulging forward stocks will intensify the interest in sensational young second-rower David Fifita. Four key Raiders will be open for offers after 2020 - Wighton, Jarrod Croker, Elliott Whitehead and Aidan Sezer. Player managers are aware of the robust interest already for players for 2021. "There's no doubt that the best operators in the game will be out there trying to identify and formulate targets - this is why they have list managers - for the 2020 season," said player agent Allan Gainey, whose stable includes Greg Inglis and Matt Moylan. "Two years seems a long way away but that's the way clubs have to operate because of the competitiveness of the market." Leading player manager George Mimis added: "There is a lot of foresight in salary cap management in the modern game where clubs are looking multiple years into the future - not just one season." Politics She's promised more cash for transport, education and the health sector if elected next month.